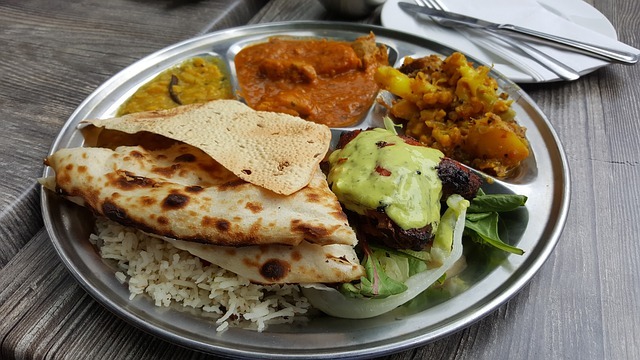 You could build an entire meal out of the appetizers at Spice Delight. The chef at this newly opened restaurant balances classic Indian dishes with more contemporary bites, as evidenced by the mix of small plates. Order the hand-cut fries tossed with masala seasonings, the crispy veggie samosas, and the bone-in chicken wing chili to get started. If you still have room for an entree, dig into the goat or lamb biryani served over basmati rice with a mix of nuts and spices. You can also try the meat-free paneer makhani, which showcases an Indian variety of cheese seared with a medley of ground spices. Perhaps you’ll want to try a classic curry, such as the chicken curry simmered with onions, tomatoes, and spices. Take your pick and enjoy the authentic flavors at Spice Delight.